Why did you choose to stay? Because you felt sorry for me? 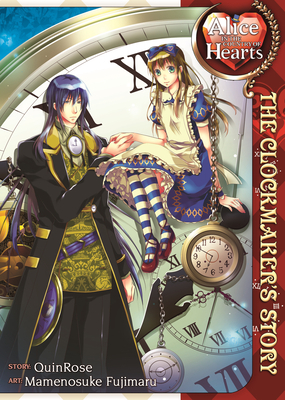 In the Country of Hearts, Alice has started developing feelings for the angsty Clockmaker. She can see past Julius's doom and gloom to the gentle soul inside. When the path back home starts opening at last, Alice wonders if she'll be able to leave Julius when the time comes. Will she give up her world for a man who can barely voice his feelings? Love is timeless, but even in Wonderland the clock is always ticking. Mamenosuke Fujimaru is a Japanese manga artist known best known for their work on numerous Alice in the Country of... series.